Designed to cater to all preferences and levels of ability and fitness, the National Sport Day programme developed by Aspire Zone Foundation and its member organisations – Aspire Academy, Aspetar and Aspire Logistics – encompasses a wide range of indoor and outdoor activities. Visitors looking to participate in fun outdoor activities can do so on the outdoor pitches and open fields at Aspire Zone, whilst those who prefer indoor activity can sign up for any number of exciting and private activities which take place in Aspire Dome, the largest indoor multi-purpose dome in the world. Visitors to Aspire Zone can try a wide range of activities, including ‘Beat the Champion’, a series of “come and try” sport science tests and activities available to all members of the community. These include trials and tests in the 20M sprint, a throwing speed exercise, vertical jump, and 200M stationary bike race. Together, these test the endurance, stamina and agility of participants all under the watchful eye and close supervision of Aspire Academy’s renowned experts – who have responsibility for developing Qatar’s future elite athletes. 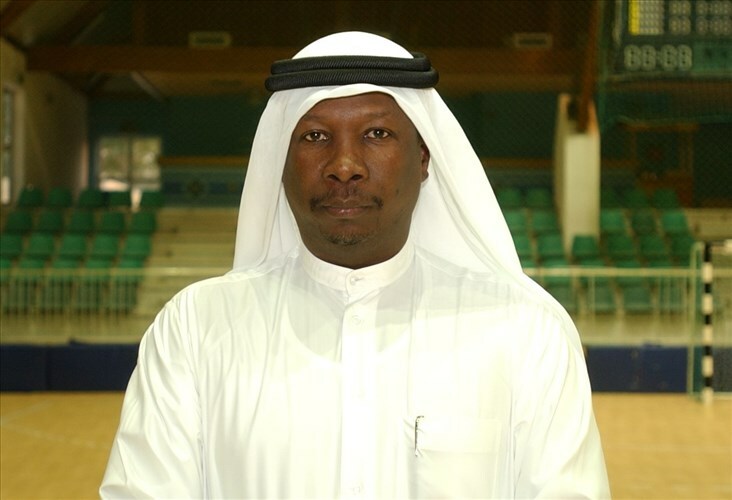 Teams from Aspire Academy will measure participants’ performance and compare it against top tier athletes including Olympic superstar, Usain Bolt and basketball legend Michael Jordan amongst others. Participants will be awarded certificates depending on their results. The ‘Beat the Champion’ event will take place on the Indoor Athletics Track at Aspire Dome, starting from 10:00 am to 4:00 pm. Meanwhile, individuals and family members, particularly children, can enjoy Aspire Academy’s ’12 Goals’ activity, designed to teach participants’ basic climbing skills and football tricks. Organised under the supervision of Aspire Academy’s Education and Student Care Department, this activity will be held in the Gymnastics Hall in Aspire Dome, from 9:00 am to 3:00 pm. Aspire Zone Foundation has also dedicated a full size football pitch for those looking for some footballing action on National Sport Day. Taking place as part of the ‘Football Performance & Science’ activity, this event comprises several football trials where players’ performance is monitored using the latest innovative technologies designed to measure the accuracy of shots on goal as well as players’ speed and agility. This takes place on the indoor football pitch at Aspire Dome, from 10:00 am until 3:00 pm. Participants will also be able to take part in a set of multi-skill activities in athletics, squash, fencing and table tennis, all under the supervision of Aspire Academy’s Multi-Sport Skill Development Programme’s renowned coaches. These will take place in the Multi-Purpose Hall 1 and squash courts, from 10:00 am until 4:00 pm. For women looking for comfortable and private training sessions, Aspire Academy’s Multi-Sport Skill Development Programme has allocated a dedicated space especially for them. This will include a range of activities such as gymnastics and basketball, situated in Multi-Purpose Hall 2 in Aspire Dome from 10:00 am until 1:00 pm. Participants taking part in National Sport Day will also be able to enjoy several fitness and gym classes, delivered by coaches from Aspire Active from 9:00 am until 2:00 pm in the Volleyball Hall and Men’s Fitness Area in Aspire Dome. Another highpoint of the National Sport Day celebrations are the final matches and awarding ceremonies of the Aspire Football Tournament. The tournament involves more than 350 young players representing Aspire Academy and Qatar Football Association’s registered teams, and will be held on Aspire Zone’s outdoor pitches 3, 4 and 5. This year’s celebrations include more than 28 activities that are taking place across Aspire Park, the outdoor pitches and Aspire Dome. The programme gives visitors of all ages the chance to try a wide range of sporting events from around the world, with something for everyone on offer. Some of the outdoor events organised on pitch 10 in Aspire Zone include the popular annual ‘5,000 Steps Journey’ and ‘Fun Run’ events, as well as new additions to this year’s programme including ‘Nordic Walk’ and Kendo demonstrations and other fun group activities for friends and families to enjoy. Aspire Zone Foundation is also organising the ‘Aspire Staff Walk’ for its employees around Aspire Park. In addition to those activities being organised directly by Aspire Zone Foundation, the organisation is also hosting more than 18 public and private sector entities as they celebrate National Sport Day with their employees and the public. These include the Qatar Football Association and El-Jaish Sports Club amongst others. Aspire Zone Foundation is offering sport and fitness enthusiasts in Qatar a chance to sample the experience of being a professional athlete for a day, providing access to world-class pitches, and the opportunity to make use of incredible facilities and state-of-the-art venues during National Sport Day 2017.